An intimate, deeply reported account of the women who made a shocking decision: to leave their comfortable lives behind and join the Islamic State. In early 2014, the Islamic State clinched its control of Raqqa in Syria. Baghdadi, the leader of ISIS, urged Muslims around the world to come join the caliphate. Witnessing the brutal oppression of the Assad regime in Syria, and moved to fight for justice, thousands of men and women heeded his call. At the heart of this story is a cast of unforgettable young women who responded. Emma, from Germany; Sharmeena from Bethnal Green, London; Nour from Tunis: these were women--some still in high school--from urban families, some with university degrees and bookshelves filled with novels by Jane Austen and Dan Brown; many with cosmopolitan dreams of travel and adventure. But instead of finding a land of justice and piety, they found themselves trapped within the most brutal terrorist regime of the twenty-first century, a world of chaos and upheaval and violence. What is the line between victim and collaborator? How do we judge these women who both suffered and inflicted intense pain? What role is there for Muslim women in the West? 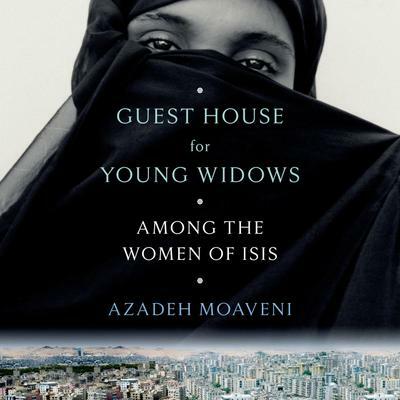 In what is bound to be a modern classic of narrative nonfiction, Moaveni takes us into the school hallways of London, kitchen tables in Germany, the coffee shops in Tunis, the caliphate's OB/GYN and its "Guest House for Young Widows"--where wives of the fallen waited to be remarried--to demonstrate that the problem called terrorism is a far more complex, political, and deeply relatable one than we generally admit.